My thanks to Goldspot Pens for sending me a bottle of Robert Oster Aussie Gold. Aussie Gold shades well, going from dark olive oil colour to pale yellow. Even with how light yellow inks tend to be, Aussie Gold shows up well even in my TWSBI EF nib. Personally, yellow inks are never really my thing but Robert Oster Aussie Gold is a very useable yellow. 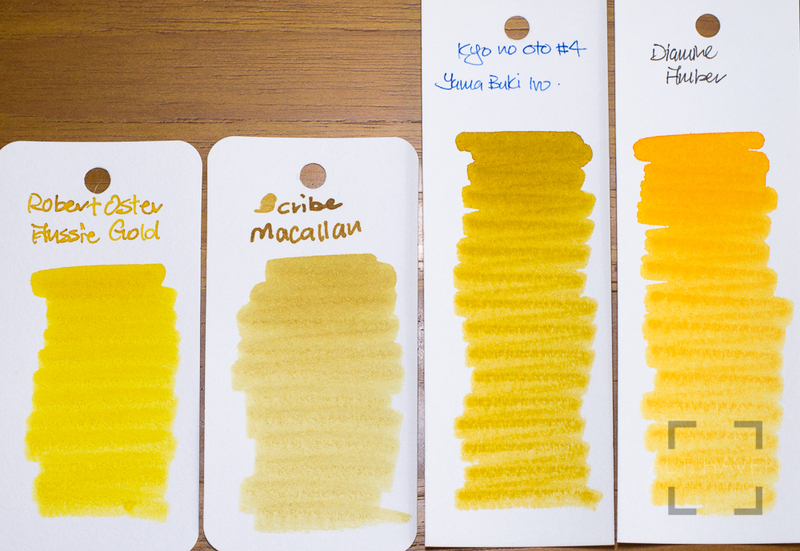 So all yellow ink lovers do check out Robert Oster Aussie Gold.